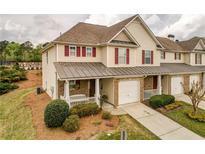 Find Woodstock, GA Homes for sale. View Photos, Maps and MLS Data Now! Eagle Watch - New Roof, Water Heater, Poly-B Pipes Replaced, Newer Hvacs. 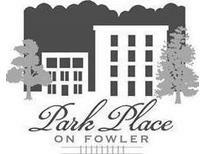 Close To Shopping, Dining & Schools. MLS#8567412. Red Barn Real Estate Llc. Each Unit Has Entire Living Space On One Level. MLS#6537181. Atlanta Communities. Applewood - Close To Schools, Shopping And Restaurants! MLS#8566515. Maximum One Grt. Atl. Realtors. Woodstock Village - Almost New Construction. Master Suite/Garden Tub. MLS#8564942. America'S Realty, Inc.. This Is A Gem And Will Sell Quickly MLS#6536963. Sm Atlanta, Llc.. Currently Under Construction, Photos Are Examples Of Finishes & Are Not Specific. MLS#6535972. Stonecrest Realty, Llc..
Come Live In Coveted Woodstock And Enjoy All The Convenience To Shopping And Dining While Being Able To Relax At The Pool And Play At The Tennis Courts. Corner Unit For Privacy! MLS#6534692. Century 21 Lindsey And Pauley. Amenities Galore!!! Pictures Are From Another Home. MLS#6536369. Jw Collection Brokers, Llc.. Amenities Galore!!! Pictures Are From Another Home. MLS#6536309. 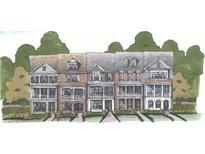 Jw Collection Brokers, Llc..
Sunset Pointe Townhomes - A Convenience 10 Minutes Distance To The New Outlet Shoppes Of Atlanta For Shopping Or Dining. MLS#6536380. Sellect Realty Of Georgia, Llc..
Millstone At Little River - Featuring Granite Coutertops , Double Build In Ovens. All The Appliances Are Included. MLS#6535228. Keller Williams Realty Partners. Preserve At Woodland Creek - Home Has Been Repainted Inside And Out Within The Last Year And A Half And New Carpet Add To The Upstairs Living Area! This Beauty Won'T Last Long! MLS#6534227. Atlanta Communities. Colemans Bluff - Master Has A Large Walk In Closet. MLS#8562045. Pmi Georgia. Gated, Det 2-Car Garage W/ Unfinished Loft For Storage Or H.O. MLS#6534178. Harry Norman Realtors. 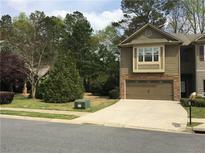 Hardwoods On Main, Cove Molding, Craftsman Trim, 6' Island, Stainless Steel Appliances. MLS#6534012. Stonecrest Realty, Llc..
Hardwoods On Main, Cove Molding, Craftsman Trim, 6' Island, Stainless Steel Appliances. MLS#6534102. Stonecrest Realty, Llc..
Victoria Crossing - Seller Motivated! Hurry,Will Not Last! MLS#6534180. Atlanta Communities. Hurry, Only Four Available In This Price Point. MLS#6532768. Sm Atlanta, Llc.. Downtown Woodstock - This Home Is Made For Entertaining!!! ! MLS#6532466. Atlanta Communities. Hurry, This Home Won'T Last Long! MLS#6532297. 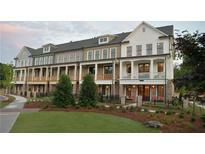 Beazer Realty Corp..
Townview Commons - Don'T Miss Out. Schedule A Tour Today! MLS#6532111. Redfin Corporation. Woodlands - Private Cul-De-Sac Location & Tree Lined Backyard With Recently Added Fencing! MLS#6532557. Re/Max Town And Country. Grand Clubhouse Just Opened Featuring Salt Water Pool, Work Out Facility, And Elegant Finishes. 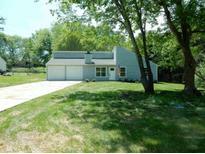 MLS#6531768. Orchards Development, Llc..
Villas At Claremore Lake - Basement Has Separate Hvac & Is Plumbed For A Future Bath. MLS#6531569. Keller Williams Rlty, First Atlanta.